3-5 Years experience on Oracle Applications R12 DBA. Core DBA support in OracleDatabase11g/12c. Performance Monitoring and Tuning (Apps & DB). Patch management, Cloning, and Core DBA activities. Oracle DB and Applications troubleshooting. Must oracle 11g/12c Fusion Middleware administration. Oracle Enterprise Manager Grid Control 12c. Administering databases on SAN and NFS attached platforms. Working in controlled and also the regulated and environments subject to regular review and audit. Proven Experience in a production Support Role. RMAN/Logical Backup and Restore activities. System Administration Activities (Users, Responsibilities, Forms etc). RAC and Data Guard support. Support through 3rd Party monitoring and performance tuning tools. Work as part of a Team and provide 24/7 support for critical situations. 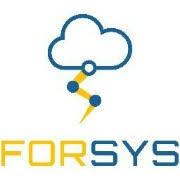 Responsible for the support and maintenance of the applications & databases in 24/7 offshore model. Landmark: Line Besides AAnnapurnaMess, YSR Statue on Ayyapa Society Road, Madhapur.